The research team of Chongqing University and China's National Center for Nanoscience and Technology develop the glasses move device by blinking into a truly hands-free life. 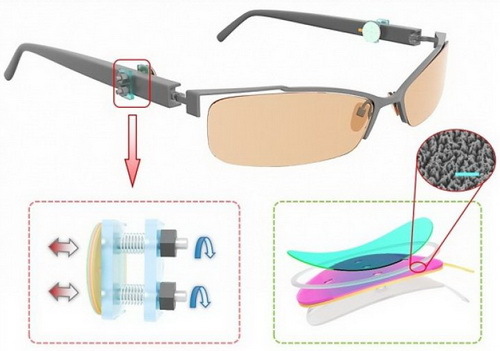 Eyeglasses are built using sensors based on triboelectric nanogenerators (TENGs) and connected to a pair of spectacle frames to produce electrostatic charges in response to movement. Scientists have designed spectacles using sensors integrated with the movement of eye muscles into electrical signals and be used to control external devices such as computers or lights. The sensor produces an electrostatic charge in response to movement and comes into contact with the skin or the flashing senses. When the contact will generate a small electrical charge sent to the device connected to the computer. The user faces the computer screen and watches as the cursor moves above the letter. If a letter is highlighted, the user blinks to select a letter. The researchers report to Science Advances. Human-machine interfaces (HMIs) involve communication between human and external devices. Typically, HMI relies on hand gestures or voice control, but such methods may not be appropriate for individuals with disabilities or diseases and impair speech function or major motor function. 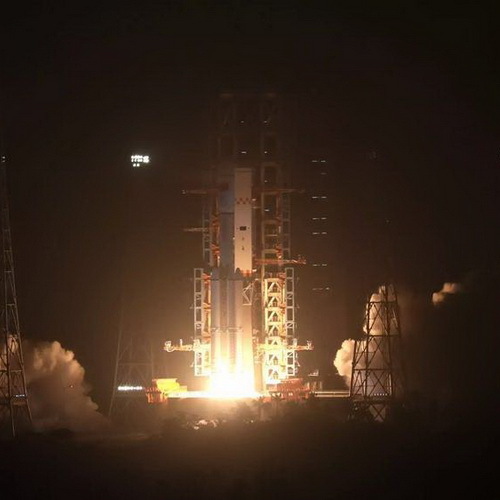 "Compared to previous bioelectrical-based HMI technologies such as EOG, TENG-based sensors are highly sensitive and generate hundreds of times the signal over the EOG," said Professor Hu Chenguo of the Department of Applied Physics at Chongqing University and Professor Wang Zhong Lin of the School of Materials Science and Engineering at Georgia Institute of Technology. 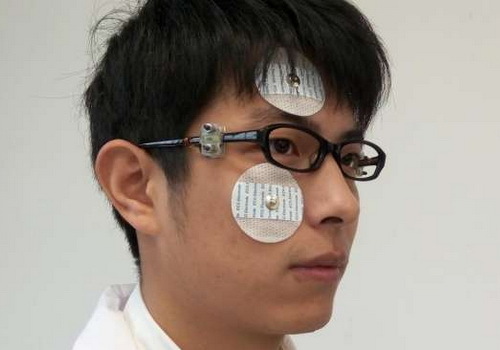 The research team used TENG-based sensors to translate blinking eyes into commands for external devices and they called the mechnosensational TENG (msTENG) mounted on the sides of glasses. The new device finds more stable, small, light, transparent, flexible, skin-friendly, low-cost, durable and reusable. Sensors also be used to control other devices including turning on and off lights. The team suggests that sensor devices can be used by people with ALS syndrome or situations where a person can not communicate in other ways.